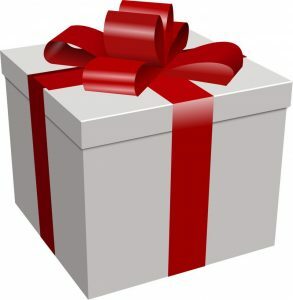 A consult is a gift. All during residency and fellowship, physicians in training tried to get out of seeing consults – more consults means more work. As soon as that physician enters the real world of being an attending, those consults that they previously sought to avoid now become a critical portion of their revenue. When a primary care physician or hospitalists chooses you to request a consult from, they are now doing you a favor and you need to treat that consult as such. If you want to get consulted on the higher paying commercially-insured patient, you have to be grateful for all consults, regardless of insurance. A few years ago, a specialist that I know started to refuse to see inpatient consults if the patient was uninsured or had Medicaid; very shortly thereafter, the hospitalists stopped consulting him altogether. Avoiding a consult is death. In our current fee-for-service world, physicians depend on consults and if the physician tries to get out of seeing a consult several bad things happen. First, you get out of an opportunity to get paid, in other words, you are relinquishing income. Second, the physician asking for your consultation needs help and if you don’t give it to him/her, then he/she is going to find another consultant to see future consults. Availability usually trumps ability. The attending physician requesting a consult needs help in the form of your opinion or the procedure that you provide. In the hospital, that attending physician is under enormous pressure to get that patient out of the hospital as soon as possible and that means engaging consultants who will see that patient as soon as possible. If you are the world’s most famous pulmonologist and you can’t see an inpatient for another 24-36 hours, then the attending physicians are going to consult the average (or below average) pulmonologist who can see their patient that same day, every time. Don’t sign-off too quickly. Most residents and fellows were motivated by trying to keep their consult census as low as possible – smaller consult list, less work. In academic medicine, where most of these residents/fellows trained, the academic attending physician is also incentivized to keep their consult census as low as possible since there is often less direct association between clinical volume and income. 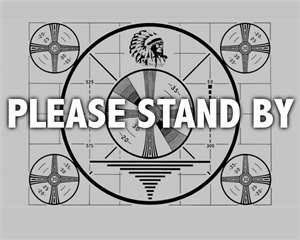 In real life, however, by signing off, you are relinquishing return visit bills. Don’t get me wrong, I’m not suggesting that you should keep seeing follow-up visits as a consultant just so you can increase your billing. However, you can often provide important on-going input into the patient’s management, follow-up test results and cultures, and help to coordinate post-hospital care. Moreover, you can see hospital follow ups very fast and that can be converted in to a significant number of wRVUs per hour. Inpatient medicine is a team effort and as long as you are needed as a member of that team, then stay on the team. Make the EMR work for you. Most physicians learn how to use the electronic medical record initially and then don’t really keep up with new developments in the EMR. Consequently, they do not maintain optimal efficiency with its use and capabilities. 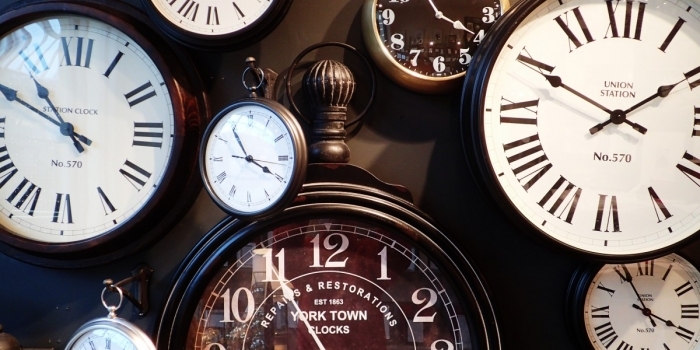 Spending 5-10 hours initially developing templates and order sets can save dozens of hours over the course of a year. A couple of hours a year spent training in program updates can save more hours. Our state medical boards require physicians to have a specified number of hours of continuing medical education (CME), a medical practice or hospital would be wise to require a specified number of hours of continuing EMR education, also. LTACHs are lucrative. In most residency programs, residents are not involved in the primary management of patients in long-term acute care hospitals, or LTACHs. Even if there is an LTACH on-site in one of the hospitals that residents work in, it is not practical for a resident to care for an LTACH patient – when there are ACGME mandated limits to the number of patients the resident can take care of, you don’t want to have LTACH patients on that census because LTACH patients are in the hospital for about 4 weeks and so one LTACH patient on a resident’s service can profoundly limit the total number of patients that the resident cares for over the course of a 1-month rotation, thus limiting their training experience. 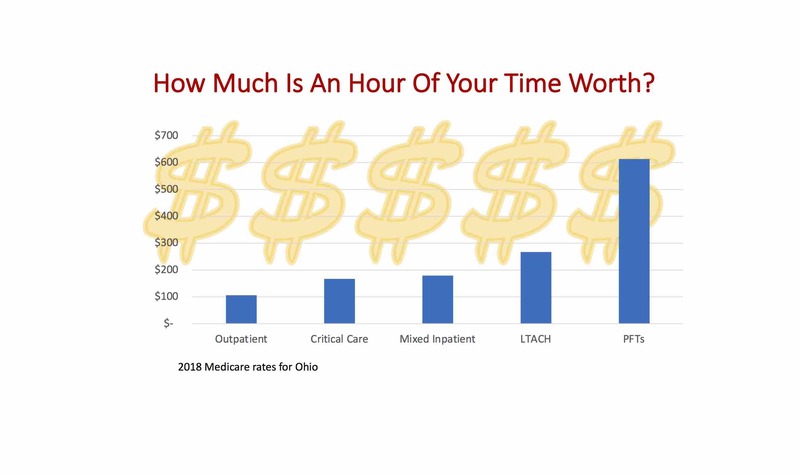 Once that resident becomes an attending physician, however, those LTACH patients require relatively little day-to-day effort compared to regular acute care hospital patients and consequently, the physician can see more of them in the course of a day and get paid more. Medical directorships can help. As a physician becomes more seasoned and senior, his/her experience becomes valued by the hospital and that experience can be parlayed into hospital medical directorships. On a per-hour basis, a very busy physician can make more money seeing patients and doing procedures than they can being a medical director. However, the medical directorship income is predictable and constant and can play a stabilizing force in the physician’s portfolio of income-producing activities, much like bonds do in one’s investment portfolio. Look for minimal effort supplementations. Often, there will be an anticoagulation clinic, a wound clinic doing hyperbaric oxygen treatments, a stress cardiac stress lab or a cardiac rehabilitation clinic in the hospital building. These services often require a physician to be on-site for emergency purposes. If you are in the hospital throughout the day, negotiate coverage fees to provide that physician availability. 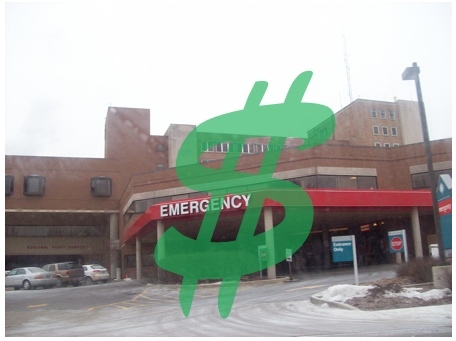 Hospital subsidy is usually necessary. There is a very good reason that most physicians straight out of residency training are now employed by hospitals – it is hard to make a living on billings alone. As an example, see my previous post on palliative care medicine. For specialities such as palliative medicine and hospitalist medicine, it is nearly impossible to earn a competitive income without subsidy. Negotiating the best subsidy usually means being able to see your services as beneficial to metrics that the hospital values, like hospital length of stay, mortality rate, and readmission rate. Monitor operating room efficiency metrics. For surgeons, income is proportionate to surgical volume. Two factors that directly impact volume are on-time first starts and room turnover time. 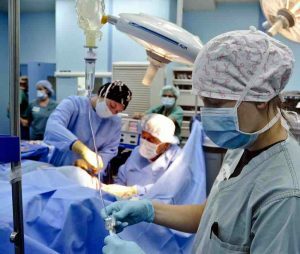 If you have an operating room for a 4-hour surgical block time and you primarily do a surgery that takes 30 minutes and the OR usually start a half hour late, then you’ve lost one surgery per block time. If the room turnover time drops from 45 minutes to 30 minutes, then you can do one additional surgery per block time. Sometimes, improving on-time first starts and room turnover time requires changing OR staff habits but sometimes it requires changing the surgeon’s habits. Don’t forget to bill. If you as a group of physicians how often they thing they forget to fill out a bill for inpatient services, most of them will probably say < 1%. The reality is that most physicians will fail to bill 5 – 8% of their inpatient visits unless charge entry is integrated into the inpatient electronic medical record so that the physician can’t enter their encounter or procedure notes without entering their billing information. But hospital EMRs are purchased by the hospital with the hospital’s interest in mind and physician billing is not a priority for the hospital, especially when the physicians are not employed by the hospital. 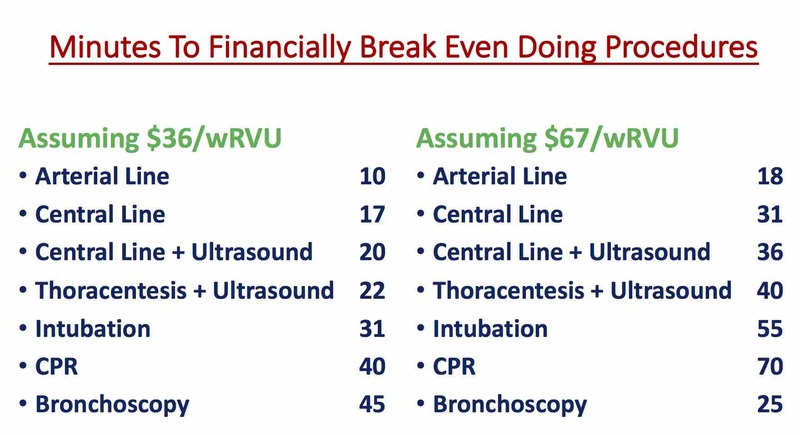 Developing strategies to ensure that every service gets billed is hard and what works best for one physician does not necessarily work best for another physician.